Father of suspect in bomb threats says family has no hatred for Jews, son acted out of illness, not malice. 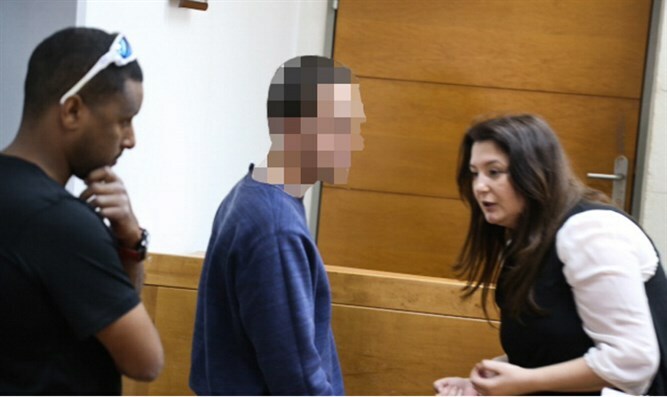 The father of the Israeli teenager accused of sending the bulk of the bomb threats to Jewish institutions in the US and around the world apologized to US Jewry on Israeli television Monday night. More than 120 bomb threats had been sent to Jewish institutions across the US since January. The father of the suspect, who was arrested, questioned and kept in custody for eight days on suspicion of having knowledge of his son's actions, appeared on Israel's Channel 2 to issue the apology. The father's face was concealed and his voice was altered due to the gag order on the identity of the suspect, who suffers from autism and a brain tumor, according to his mother. "It is hard for me to speak about this matter," the father said. "I am so shaken." "I was also arrested and I am completely shaken from what has happened," he added. "The world has to understand that this boy is different. He is special," he explained. "I was exposed to thousands of very destructive chemicals. I've had operations, three operationsn to remove tumors. My son also has a tumor. "To all the Jews in the US, I want to give this message unambiguously. We are very, very sorry, from the bottom of our hearts. We are so sorry. "We are good Jews. We love Jews," he added. "We don't hate you. There is no hatred here. His motivation was definitely not hatred. His motivation was his illness."